Kathleen Green, PhD, the Joseph L. Mayberry, Sr., Professor of Pathology and Toxicology, was principal investigator of the study published in the Journal of Cell Biology. Northwestern Medicine scientists have identified a novel molecular mechanism for how mutations in desmoplakin — a protein that helps cells stick together — can lead to cardiac arrhythmias and other diseases of the heart and skin. The study, published in the Journal of Cell Biology, was led by Kathleen Green, PhD, the Joseph L. Mayberry, Sr., Professor of Pathology and Toxicology in the Departments of Pathology and Dermatology. Chen Kam, PhD, a former doctoral student in the Walter S. and Lucienne Driskill Graduate Program, was the first author of the paper. Desmoplakin is a critical protein component of desmosomes, junctions that hold cells together, especially in heart muscle and the outer layer of skin. Mutations in the gene for desmoplakin have been strongly associated with certain heart and skin disorders, in particular, arrhythmogenic cardiomyopathy (ACM), an inherited heart disease that can lead to arrhythmias and sudden death in young adults. ACM occurs when healthy heart tissue is damaged and replaced by fibrous scar and fat tissue, interfering with the heart’s ability to beat. Previously, research had suggested that decreased expression of a protein called connexin-43 — the major component of gap junctions, which allow communication between cells — may play a role in ACM pathogenesis. But the link between loss of desmoplakin and decreased expression of connexin-43 was unclear. In the new study, the team of scientists demonstrated that desmoplakin controls expression of connexin-43. Loss of desmoplakin triggered strong activation of the ERK1/2–MAPK signaling pathway and phosphorylation of two sites on connexin-43, leading to the degradation of connexin-43 and impaired gap junction communication. The scientists further identified the protein Ras as a key link between desmoplakin and connexin-43 regulation, and they demonstrated that a novel Ras inhibitor called RSSP could be used to restore connexin expression levels and gap junction function. 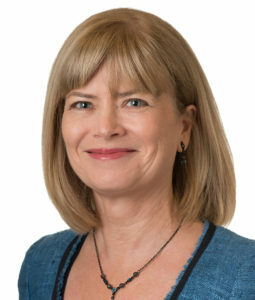 “This suggests a potential new therapeutic use for this novel reagent,” said Green, who notes that RSSP, which is derived from a bacterial toxin, is being further developed for treatment of other Ras-dependent cancers and diseases by the laboratory of Karla Satchell, PhD, professor of Microbiology-Immunology and also a co-author of this study. Future research will also focus on determining how desmoplakin regulates levels of Ras mRNA, Green said. “A deeper understanding of the molecular pathway linking desmoplakin to Ras regulation may reveal additional novel targets for treatment of cardiac disorders, cancer and other human diseases,” Green said. Green and Satchell are both members of the Robert H. Lurie Comprehensive Cancer Center of Northwestern University. The study was supported by National Institutes of Health (NIH) grants R37AR43380 and GM55632, the J.L. Mayberry Endowment, NIH/National Heart, Lung and Blood Institute grant R01 HL09780-06, the Tobacco-Related Disease Research Program (24RT-022), a Translational Research Grant from the Robert H. Lurie Comprehensive Cancer Center of Northwestern University, the Northwestern Medicine Catalyst Fund, the Associazione Italiana per la Ricerca sul Cancro (IG11627), Worldwide Cancer Research (11-0051) and an American Heart Association predoctoral fellowship (15PRE25560138).